My daughter loves books. I couldn’t be happier. 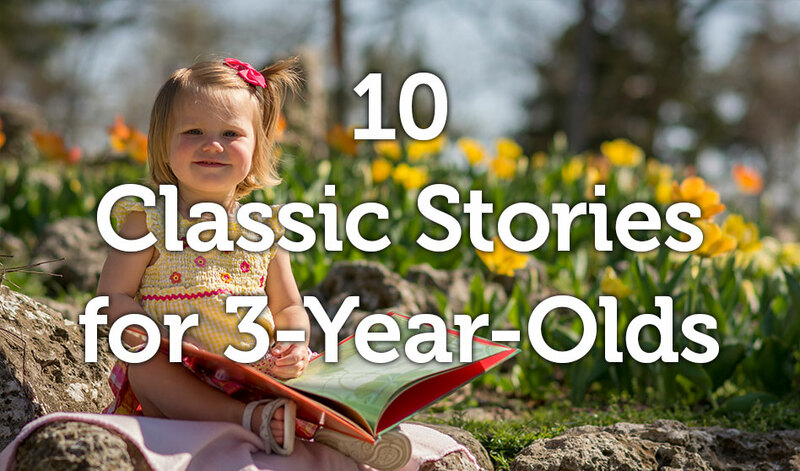 We read 4-5 books a day together, and I wanted to share some of the best classic stories for three-year-olds to enjoy. I will be following this post with one sharing some of our favorite new children’s books. We have a big book of all the classic Curious George books. It’s hard to choose a favorite out of all of them, but I think Curious George Goes to the Hospital is Lily’s favorite. We’ve read that one countless times. This touching story made me tear up at the end when I read it again as an adult. It is a great story about a teddy bear finding a friend and a forever home. It’s also impossible to pick a favorite Dr. Seuss book. You really can’t go wrong with most of them. Another favorite of Lily’s: What Was I Scared Of? And one of my favorites: Green Eggs and Ham. Also, Oh, The Places You’ll Go. Kids at this age love repetition, and the silly dogs and hats keep them interested. Another P. D. Eastman book to pick up: Are You My Mother? All of Richard Scarry’s books are perfect for this age group. My daughter loves the silly things that happen in the pictures, and there’s always something new to see in the illustrations. This whole series is good from age 3 on up. Some of the stories might be long for your child, depending on their attention span. Lily loves Little Critter. We have a large collection of these books and they never get old either. Little Critter’s child’s voice telling the stories of his life, along with funny illustrations will keep these books as winners forever. The longer ones in this series might be too long for most three year olds, but the first several books in the Berenstain Bears are perfect for this age. There are also a lot of shorter board books. This is a charming book about a princess who loves balloons and must plant a balloon under a tree to save her kingdom from her mean uncle. Jesse Bear goes through his day wearing both clothes and playtime things such as sunshine and sand. A fun rhyming book with lovely pictures.